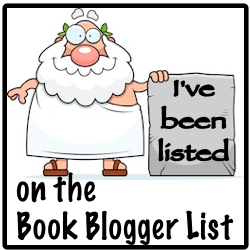 I’ve been writing about China and Historical Fiction/Non-fiction on Comic Towel lately. So much so that I wanted to share more of my love of both subjects in their sometimes blended splendor. 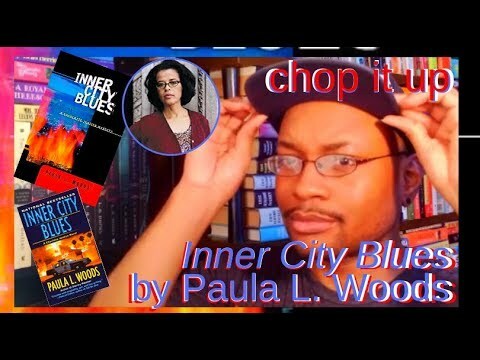 While the book I’m currently reading doesn't occupied either of the two topics, I couldn't exactly find a book to square up to that would allow me to delve deeper into the subject. 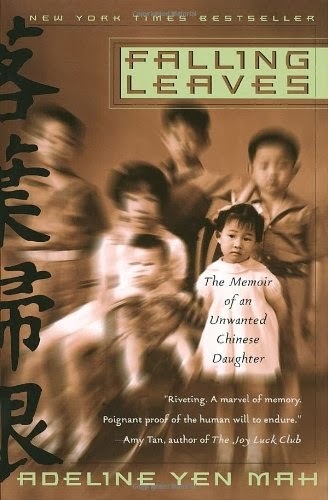 Then I glanced at my copy of Falling Leaves: The Memoir of an Unwanted Chinese Daughter, by Adeline Yen Mah, and recalled the summer night I spent reading the book from start to finish. Needless to say, that night I freely absorbed Chinese culture and Mah’s personal story revolving around subjugation to many of China’s darkest administrations. Politically and communally I might add. That glancing led me to an essay I wrote not to long ago featuring Adeline Yen Mah’s teen version of her autobiography titled, Chinese Cinderella, as well as the topic of historical fiction versus fact. I would like to share it here, knowing that these subjects have always been something I generally loved to talk about. Historical fiction and non-fiction novels contain a precise view of the world via a particular story’s setting. This category of children stories represent realities of earlier periods in human history, told to contemporary readers. Therefore, because of generational gaps, children may be unfamiliar with the settings and traditions that make up historical fiction. Here writers must provide enough strong material to fill in the customs of the past so that children of the modern age can understand and appreciate the entirety of a story. It is this filling of significant period-related material that eases children into the plot of a story, instead of pushing a history lesson. 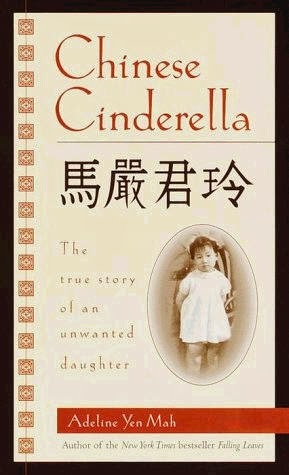 Adeline Yen Mah’s nonfiction biography, Chinese Cinderella, introduces children to 1930s China through the eyes of an unfortunate girl within an emotionally abusive home. It is a story that pulls from generations past to express political and cultural upheavals while maintaining the story of one Chinese family’s struggle. Some may assume that Mah’s need to reveal Chinese culture and politics found itself unnecessary in developing the story’s theme concerning family and child disassociation. However, Mah’s political and cultural reflections of past China shape much of the influence of family oppression that encouraged young readers to engage with her story. Chinese Cinderella represents a story about conquering one’s own painful past to establish a productive and wealthy future. Told through the autobiographical eyes of Adeline Mah, the children’s novel begins with young Mah living a relatively normal, happy life as a child in revolutionizing China. Mah’s family siblings would forever blame her for their mother’s death, her father sought marriage to a woman of French and Chinese heritage. This wife bore two additional children (a girl and a boy) during the time China faced and lost the Opium War between England and France. Many families migrated from coastal cities to Tianjin and Shanghai as a result of the war. As World War II came about many Chinese traditions further changed from customs featured in the Tang dynasty. One of these customs was the custom of bounding girls’ feet, considering Chinese men put stock in women with small feet. Here, Mah no longer had to follow tradition. This later granted her the ability to form her own destiny as the story unfolds presenting the horrors her stepmother placed on her family (and her in particular) during their time in changing China. Because her stepmother came from mixed heritage, it became easy for the father to accept that her form of discipline was a matter of cultural progression. Therefore, he accepted the abuse for the sake of maintaining his wife during a period of struggle (Mah, 1999, pg. 8-10). Literary elements that construct novels such as Chinese Cinderella are honest history and convincing characters. Each of these two elements coincides with one another to illustrate a story. Readers of Chinese Cinderella must consider the history behind China, presented in the novel as well as the character’s place and reactions to those histories and settings. Convincing cannot be established when the setting and characters are not balanced correctly. One must fit into the other. Should the setting contain elements of future sciences and technologies, the characters would no longer be honest to the setting. Likewise should the character contain knowledge of future sciences and technologies, the character would have no place within the influence of his or her story (Russell, 2009, pg. 247-250). Chinese Cinderella manages both literary elements correctly, stemming from its nonfiction nature. Told from the perspective of an individual, the information is accurate. However, that is not to say that some autobiographies contain elements of fiction. Nevertheless, examples that illustrate Mah’s placement of these two literary elements are Mah’s reaction to traditions such as her older sister’s marriage arrangement and bringing honor to family and ancestors. Under each circumstance, Mah remained innocence and honest in her wonder as regarding why such traditions should be held, even as she went about upholding them. However, when faced with the scrutiny of her stepmother (who twice sent her to boarding school because of Mah’s tendency to question her), Mah’s resolve to one day be set free of China increased. This set of traditions (including the early mention of bounding girls feet for marriage) reflected the character of Mah, who has remained an outcast to her family no matter how clever and smart (indicated by her school achievements) that she was. “You may be right in believing that if you study hard, one day you might become fluent in English. But you will still look Chinese, and when people meet you, they’ll see a Chinese girl no matter how well you speak English. You’ll always be expected to know Chinese, and if you don’t, I’m afraid they will not respect you as much” (Mah, 1999, pg. 151). Her setting later allowed her to split from the boundaries women face in China, leading her to a successful career in London and America as a bilingual physician (Ford, 2003, pg. 66). Fact or fiction is a statement that demands truth over false within historical fiction or nonfiction. In Mah’s nonfiction biography, Chinese Cinderella, the elements of fact become determined by the historic events that take place within the story. Two examples that relay how her material becomes based on fact are her mention of China’s divide with foreign territories or concessions while the Japanese ruled the country beyond these foreign territories. Because Mah’s family was wealthy and with clout (particularly her French and Chinese stepmother), her family lived well within the territories of the French. Mah express this piece of fact stating that “Tianjin’s French concession was like a little piece of Paris transplanted into this center of this big Chinese city” (Mah, 1999, pg. 5-6). During the late 1930s and early 1940s, the Japanese and other foreigner territories did reside in China during the period of the Opium War and World War II. Another example of fact within Mah’s novel arises in the political stains the country faced after the Japanese fled the country at the end of World War II. This period of Communists and Nationalists became the cause of civil war within the country, as the exchange of ideas erupted in Chinese communities, concerning the progression of the country after the wars. When Mah became pushed into a boarding school, the teachers, and administrating staff questioned: “Didn’t your parents tell you the Communist don’t believe in God and hate foreigners?” (Mah, 1999, pg. 129-130). Each example furthers the theme of Mah’s story as she continued to wrestling with inner and outer wars to establish her separation from many elements that created a corrupted China. These elements brought envisions of freedom from tradition as well as freedom from her family. Mah was the perfect student and remained partly, such as mistreatment from family and wars proceeded to damage her mentality. Had she not continued to pursue excellence, she would have never escaped the hardships of her past (Ford, 2003, pg. 66). Even as humans try to remove themselves from his or her past, it is the past that makes the individual. Mah learned this through the development of her autobiography, aimed to teach children how one’s past does not onset a negative future unless and individual chooses to allow it to be so. Much of the events Mah faced, from war to political ruling, shaped her determination to exceed beyond her past. How these elements also contributed to the destructive behavior of her stepmother furthered Mah’s resolve, as toward the end of her true story, when her father’s will is read, Mah decides to no longer fight with her abusive stepmother. Instead, Mah walks away to continue creating the life she desired with her newfound power of freedom of mind. Ford, Kim. Voices From the Middle 10.3 (March, 2003): 66. Mah, A. Y. (1999). Chinese Cinderella. New York City: Dell Laurel Leaf.